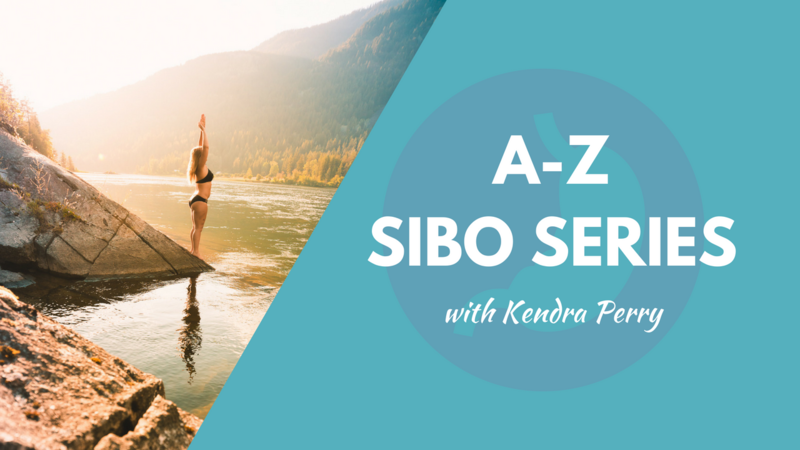 This is Video 1 of the A-Z SIBO Series! In my experience, Small Intestine Bacteria Overgrowth is the most misunderstood GI condition. I have hundreds of people contacting me after their current practitioner was unable to help them. Don’t let your SIBO patients down! In this video quick series, I will teach you how to treat SIBO from start to finish. In Video 1, I will discuss the different types of SIBO you may encounter (and yes, the type does matter). I will discuss the different causes of SIBO and why SIBO may NOT be the first place to start. I will also discuss ways to test for SIBO and which is the best test for the most accurate results. If you are a practitioner and are interested in mentoring with me, I offer practitioner mentoring consults to help you understand your client’s SIBO tests and treatment protocols. I also mentor in interpretation for the GI-MAP test, DUTCH hormones testing, functional blood chemistry, metals testing and Hair Mineral Analysis. If you want me to help you understand your patients’ results you can book an appointment here. Prefer to hear me discuss this article in a video? See video below! If you are a health practitioner and you want to know my exact step-by-step process that I use when it comes to treating clients with SIBO, check out my 3-Part A-Z SIBO Series. Check out Video 1! Small Intestine Bacterial Overgrowth is an incredibly common infection that I am finding in the majority of my clients who are struggling with chronic digestive issues. A study undertaken at Cedars-Sinai Medical Center used 448 subjects who were referred by their doctors for detection of SIBO. After completing a questionnaire, the researchers determined that 202 subjects could be considered as having irritable bowel syndrome according to standard symptom criteria (see sidebar). Of these, 157 (78%) were positive for bacteria overgrowth using the lactulose Hydrogen Breath Test. SIBO is a condition where normal bacterial flora from the large intestine migrate up into the small intestine where they aren’t supposed to be. Compared to the large intestine, the small intestine is relatively sterile when it comes to microflora. With an overgrowth of bacteria in the small intestine, food that is eaten is fermented and acted upon by the overgrowth, rather than digested for your nourishment. The result is SIBO infected individuals tends to have a lot of gas, bloating, belching and abdominal pain. Depending on the type of SIBO present, individuals may have chronic diarrhea or constipation. I have also seen many SIBO clients presenting will extreme fatigue or even chronic fatigue. SIBO is gaining some attention lately and more and more people struggling with IBS are looking to SIBO as the potential cause of their GI issues. A journey full of trial and error, getting rid of SIBO can be HARD work. With our scientific and clinical understanding of the condition continuing to grow, protocols and recommendations are constantly evolving and as with any gut condition. This means that what works for one person may not work for the next. It also means that the medical community is starting to catch on. In Canada, we are starting to see SIBO labs popping up which is a great thing. Unfortunately, many practitioners are testing their patients for SIBO without having adequate knowledge of the complex protocols involved in successfully treating the condition. The result is that many SIBO sufferers try over and over to clear the infection and they either fail to get rid of it or they get re-infected. I want to discuss some of the most common mistakes I have seen when it comes to treating SIBO. If you are someone struggling with SIBO, you need to read this. There are many practitioners who claim to understand SIBO but they have no kept current with their research. 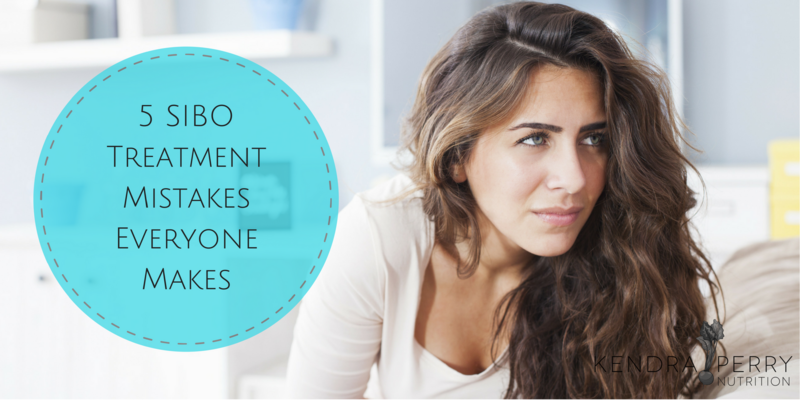 Make sure you or your practitioner aren’t making these SIBO treatment sabotaging mistakes. Not all SIBO is created equal. In the future, what we currently call SIBO may actually be categorized into many distinct conditions. Our knowledge of SIBO is new and we are learning more about it every single day. The type of SIBO you have entirely affects the protocol you decide to do. Currently, we know of three different types of SIBO; methane dominant, hydrogen dominant and hydrogen sulfide dominant. We have the ability to test for methane and hydrogen but not for hydrogen sulfide. In order to effectively remove your SIBO and experience results, you need to know which one you have or if you have both. The best testing method is a 180 minute lactulose breath test. Labs that I use for this are Biohealth Labs, Commonwealth Labs and Sage SIBO Lab in Canada. This is a very common one. SIBO is not a lone ranger. In most cases is does not travel alone. Parasites are often one of the primary causes of a SIBO infection. How? An acute parasite infection, such as traveller’s diarrhea or gastroenteritis, can paralyze the Migrating Motor Complex (MMC). The MMC is a flowing motion that occurs multiple times in a day that essetially “flushes” bacteria back down the intestine and prevents it from moving upwards. In a healthy person the MMC occurs up to 40 times per day. If the MMC has been paralyzed it may only occur a few times a day. Since parasites are often the cause of SIBO, they need to be addressed first. This is one of the more common reasons that SIBO continues to come back after treatment. I have encountered many clients who have been tested for SIBO and are currently doing multiple SIBO protocols but their practitioner never ran testing for other GI infections. They are unlikely to have success. Additionally, the symptoms of SIBO are often identical for other GI infections. If you don’t address these infections, your symptoms will persist and you may never get rid of the SIBO. Don’t agree to a SIBO test before testing the large intestine first. My favorite test is the Diagnostics Solutions Lab GI-MAP which is fantastic for identifying parasite and other infections. SIBO is hard to to get rid of in many people. Some studies have shown that relapse rates for SIBO are as high as 50%. Expecting a single round to be all you need may lead to disappointment, depending on the severity of your condition. SIBO is about getting the levels of bacterial down to a point where they are no longer an ‘overgrowth’. The amount of treatment you need will depend on the level of gas being produced and how well you respond to treatment. It is crucial that you re-test immediately after treatment. If you still have an overgrowth but your gas levels have decreased, that’s a sign that your treatment protocol is working and you just need to do it for longer. If you don’t see an improvement in your gas levels, you need to change course. If you have been doing a herbal protocol, antibiotics or an elemental diet may be a better choice. Stick with the protocol until the test tells you the SIBO is gone. This is most common among clients trying to treat themselves without the help of a skilled SIBO practitioner. Many people know that the FODMAPS diet is the most commonly used diet to treat SIBO. What many people don’t realize is that you need to be strategic with the FODMAPS diet. Most people consume a FODMAPS diet during their treatment protocol. This is a huge mistake. Eating a low FODMAPS diet essentially starves the overgrowth. Starving the SIBO bacteria can make them go dormant which means that the herbs or antibiotics you take don’t work. Treatment will not work on dormant bacteria. For this reason it is important to consume some fermentable carbohydrates during the treatment protocol. The FODMAPS diet should be employed after the SIBO has been eradicated In which case it will need to be followed for at least 3 months. SIBO is a much more complex condition than simply too much bacteria in the small intestine. By treating SIBO like other infections, many practitioners fail to address the reason a person became infected with SIBO to begin with. Migrating Motor Complex. A prokinetic supplement needs to be taken for multiple months after the SIBO is eliminated to stimulate the MMC and prevent bacteria from traveling back up into the small intestine and causing SIBO all over again.